We know that 5% of the Universe is directly observable. The Standard Model of Particle Physics describes it precisely. But what about the remaining 95%? No, Argentinosaurus Collider is not CERN's official name for the Future Circular Collider, just a nickname I've given it in view of its 100 km circumference and the ancient world's biggest dinosaur, the 100-ton Argentinosaurus (or "Argentine lizard") which lived on our planet almost 100 million years ago! The discovery of the Higgs boson at the LHC was a milestone for particle physics. In a nutshell, it completed the Standard Model of Particle Physics, which describes the matter that forms the world around us. Yet many questions about our Universe remain unanswered. Is there more matter in the Universe than what is visible? What is dark matter made of? What happened to antimatter after the Big Bang? Are there extra dimensions in the Universe and, if so, can we explore them? To get answers and find out more about our Universe, scientists have to carry out experiments in more powerful particle accelerators. The higher energy frontier will expand our horizons and may shed light to the missing pieces of the puzzle of Nature. For over two decades xtronix has been delivering unique custom systems, instruments, cryostats and vacuum components. Our latest shipment is a Vacuum Exhaust Station (VES-210) with gas backfill capability for an EU production plant of a very large multinational instrumentation firm. xtronix custom designs removes the burdensome task of design engineering, parts procurement, assembly, testing and final qualification. We work with trusted suppliers, often companies we actively distribute products of, leaving our customers more time to focus on their own clients and less on worrying about all the intricacies of custom designs. Past custom designs have varied from components as vacuum feedthrough assemblies for radar or night vision devices to Pirani vacuum gauges, cryostats, sputter coating and gas blending systems. 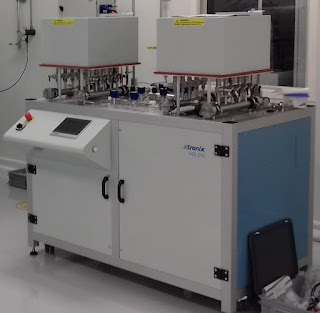 The VES-210 pictured here can be used for production of gas-backfilled devices typically as used in X-ray collection techniques such as X-ray Fluorescence / Diffraction products, or in the manufacture of appendage ion pumps, small communication devices or other pinch-off cavities. This concept can be expanded to a VES-310, -410 or reduced to a VES-110 concept. High vacuum is achieved by a turbo-molecular pump with a scroll backing / roughing pump. The vacuum cycle is fully automated via a touchscreen, menu-driven controller. Vacuum and gas hardware is stainless steel throughout and the vacuum components are mostly right out of our own 88-page vacuum components catalog. The system conforms to CE norms. Hermetic fiber optics are here! 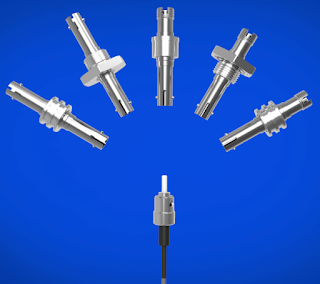 Solid Sealing Technology now offers a full line of single and multimode fiber optic feedthrough adapters for ultra high vacuum! SST's line of hermetic fiber optic adapters utilize a precision zirconia ferrule terminated to multimode or single mode (125µ OD) optical fiber. The zirconia ferrules are high temperature brazed into mating metal hardware to provide the highest reliability seal. This construction allows these connectors to be welded directly into packages or into a wide variety of flanges and fittings for easy installation. Each product is helium leak checked to < 1x10 -10 cc/sec and optically tested before it leaves the factory to ensure performance. 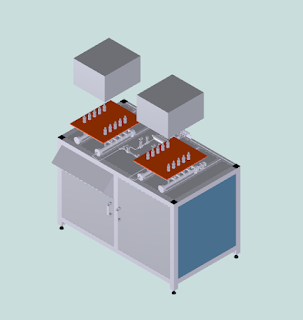 All SST optical feedthroughs and accessory connectors feature an industry standard UPC polish. Whole body counter developed by Baltic Scientific Instruments is intended for location and analysis of radionuclides in human body. The system is flexible to perform analysis of nearly any part of the body like joints, lungs, thyroid, etc. Having two HPGe detectors, the system provides outstanding measurement result in terms of accuracy and measurement speed. Depending of HPGe detector type (GCD or GCDX) it is possible to cover wide energy range, which means the list of radionuclides is so big that nothing will remain without attention of the specialist. 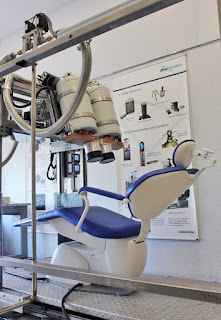 In some cases, longer acquisition is required, therefore, the examined person has comfortable ergonomic chair to be fixed for long measurement and still feel comfortable. 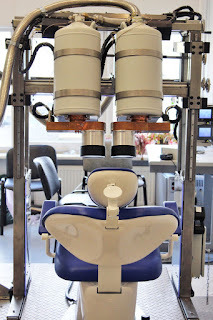 Hydraulic mechanism of the chair together with adjustable positioning mechanisms of detectors allow to pick up almost any point of the body for measurement, keeping the examined person relaxed. 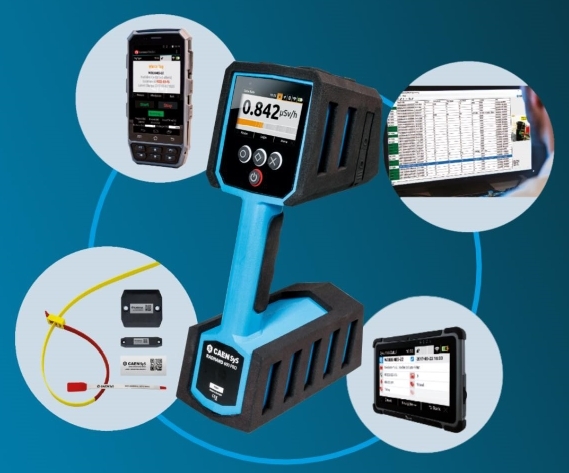 From the point of view of the specialist (operator), the software interface remains simple and intuitive allowing to control both HPGe detectors simultaneously summing the measurement result or operating each HPGe detector separately. After measurement is finished, the operator will be able to see use electronic version of the report or print it out with one click. Content of the report is possible to adjust according to specific needs by editing the report template. 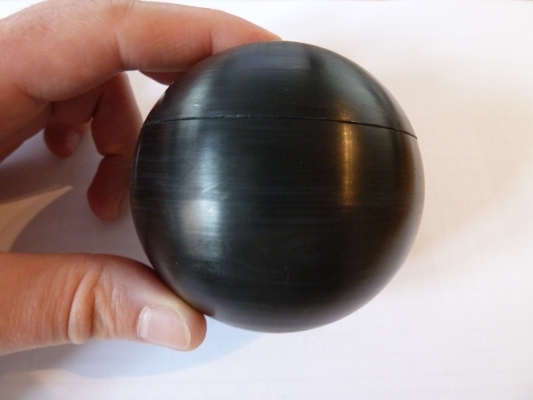 Option: available with scintillation detectors like NaI, LaBr, SrI, etc. In just a few months, CAEN SpA will celebrate their 40th anniversary. X-TRONIX AG/SA has been privileged to share 30 of those years, going back to when FASTBUS (IEEE 960) was the computer bus standard, and originally intended to replace Computer Automated Measurement and Control (CAMAC) in high-speed, large-scale data acquisition! Going into the 40th year of cutting-edge innovations. 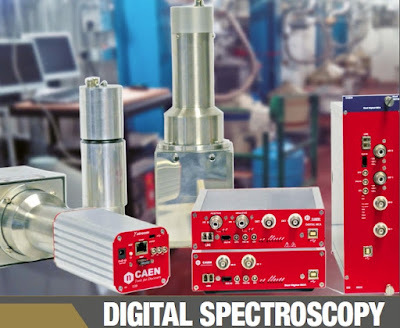 We will shortly be distributing the 2019 anniversary edition of the CAEN Electronic Instrumentation Product Catalog to the Swiss customer base. Click here to download your advanced PDF copy. You will find the index on the back, starting on page 283. It also depicts some 65 new products. Since 2017, CAEN has become the exclusive worldwide distributor for Weeroc ASICs. X-TRONIX is here to assist you also on this exciting line of off-the-shelf programmable analog and mixed front-end ASIC chips for photon and particle detectors readout. You can see the standard range on pages 209 to 214. Also, take a peak on page 176 & 177 for the new Weeroc ASIC-based solution to readout SiPM arrays with coincidence trigger logic. A new and recent release, the preamplifiers for Fission Chambers and Proton Recoil which earlier this year made their formal entry on the Swiss market through a team at EPFL. Details are on page 188. CAEN SyS, has released World's First Digital Platform for Nuclear Waste Management. These advantages are realized thanks to easy, fast, and reliable access to all the information collected at any point of the Decommissioning & Dismantling cycle of Nuclear Power Plants. HORIBA proposes a comprehensive range of fluid control and analytical solutions to improve yield, increase throughput and add value to the Bio Technology Process. We are able to provide a complete flow control system for controlling the gas mixture entering the Bioreactor or culture tank using world-renowned HORIBA mass flow controllers. HORIBA Advanced Techno concentration monitors and products can be used for monitoring various parameters during the Bio Technology process, including pH, dissolved oxygen and concentration of the Bio reactor broth. We are very pleased to announce we have received from the Paul Scherrer Institute our first order for the Swiss market of an EasyPET educational kit by CAEN SpA. After familiarizing himself with the product, our PSI customer will use it in summer 2018 in connection with an IEEE Instrumentation School course in South Africa. CAEN has conceived different modular Educational Kits. The set-up are all based on Silicon Photomultipliers (SiPM) state of-the-art sensor of light with single photon sensitivity and unprecedented photon number capability. The goal is to inspire students and guide them towards the analysis and comprehension of different physics phenomena with a series of experiments based on state-of-the art technologies, instruments and methods. Back to the realm of quantum physics. The science of the “small” continues to grow, thanks to work done by scientists using the Large Hadron Collider (LHC) at CERN Geneva. The LHCb experiment at CERN is a hotbed of new and outstanding physics results. In just the last few months prior to March 2017, the collaboration had announced the measurement of a very rare particle decay and evidence of a new manifestation of matter-antimatter asymmetry, to name just two examples. In a paper released March 16, 2017 by the LHCb collaboration, they announced the discovery of a new system of five particles all in a single analysis. The exceptionality of this discovery is that observing five new states all at once is a rather unique event. Discover in image the newly emerging face of CAEN's drive into Radiation Safety & Security Systems! In the quest for more efficient crystalline silicon solar cells with low manufacturing costs, one of the most promising approach is to bring all electrical contacts at the back of the device. This suppresses all shadowing at the front, increasing the current and the efficiency. This approach generally requires several delicate processing steps, because well-defined narrow negative and positive contact lines need to be created, which will then collect the electrons (negative charges) and holes (positive charges). This requires usually several steps of masking of photolithography to create the alternated positive (+) and negative (-) areas. GLOBall system is a mapping tool based on gamma detection systems that can be easily deployed and have a fast reconstruction map of the investigated zone. 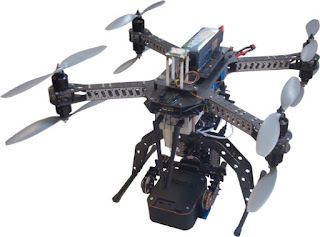 If the positioning of the detectors is done using unmanned vehicles, such as drones, this will reduce the dose exposure for the in field operators from possible radiological hazards. The equipment is based on a set of gamma detectors. Each spherical device embeds a radiological detector and an encrypted communication system in a waterproof, shockproof shell the size of a tennis ball. They are equipped with a localization system like (GPS, or embedded pseudolites for indoor localization), a data encryption system and a communication protocol (LoRA or WiFi) to send data to the control station. CAEN SyS now proposes radiation detection equipment for Alpha, Beta, Gamma, Neutron and X-ray radiation detection applications. Let us focus here on Gamma-ray spectroscopy. While the company proposes various indoor and outdoor instruments for a variety of applications, it also has invested time and recourses on developing superior software to go along with the hardware. November 13 - 17, 2017: The International Atomic Energy Agency (IAEA) is organizing an International Conference on Physical Protection of Nuclear Material and Nuclear Facilities, to be held in Vienna, Austria. The purpose of the conference is to foster the exchange, among competent authorities, facility operators, shippers and carriers, and technical support organizations, of information, practices and experiences related to the physical protection of nuclear material and facilities, including nuclear material in transport. The next annual meeting of the Swiss and Austrian Physical Societies will take place August 21-25, 2017 in Genève, at two different locations. Starting at CERN on August 21st with internal meetings of some of the participating societies, the 22nd will be dedicated to plenary and invited talks and more. The venue will then move to the Centre International de Conférences de Genève (CICG) on 23 - 25 August where further plenary talks and all topical sessions will take place. 🔊 March 16, 2017 - CERN announced an exceptional new discovery that was made by the LHCb, which unveiled five new states all at once. In a paper released, the LHCb collaboration announced the discovery of a new system of five particles all in a single analysis. The exceptionality of this discovery is that observing five new states all at once is a rather unique event. The particles were found to be excited states – a particle state that has a higher energy than the absolute minimum configuration (or ground state) – of a particle called "Omega-c-zero", Ωc0. This Ωc0 is a baryon, a particle with three quarks, containing two “strange” and one “charm” quark. The team notes that this revelation improves our understanding of quantum theory in general and, most notably, gives us new clues about the earliest moments of our universe. 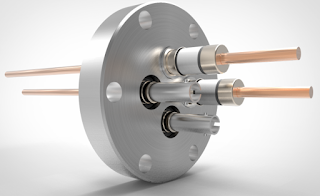 CAEN Electronic Instrumentation and CAENels will exhibit innovative new products during the 21st International Conference on Cyclotrons and their Applications, September 11-16 at ETH Zentrum, Rämistrasse 101, 8092 Zürich / Audimax (HG F30). We invite participants to drop by the CAEN booth where product experts will be on hand to discuss your instrumentation and power supply requirements. CAEN recently published a 99-page catalog on Educational Product Kits. These kits were conceived to directly contribute to the world of learning and training by providing modern tools for University level physics experiments based on the latest technologies and instrumentation. Nuclear Physics & Radioactivity, including gamma & beta-spectroscopy, and nuclear imaging by positron emission tomography (PET). Swiss customers, should you require copy of the printed catalog or any addition information or a price quotation, please do not hesitate to call 021 802 54 90 or email us. The GammaSTREAM highlighted in the PDF brochure (click to downnload) is an all-in-one digital MCA tube base for gamma ray spectrometry. It is designed for portability and can be plugged on standard NaI(Tl), LaBr3(Ce), CeBr3 detectors with standard 14-pin and 10-8 stages PMTs. The first systems have already been delivered and active marketing of the product world-wide is in progress.